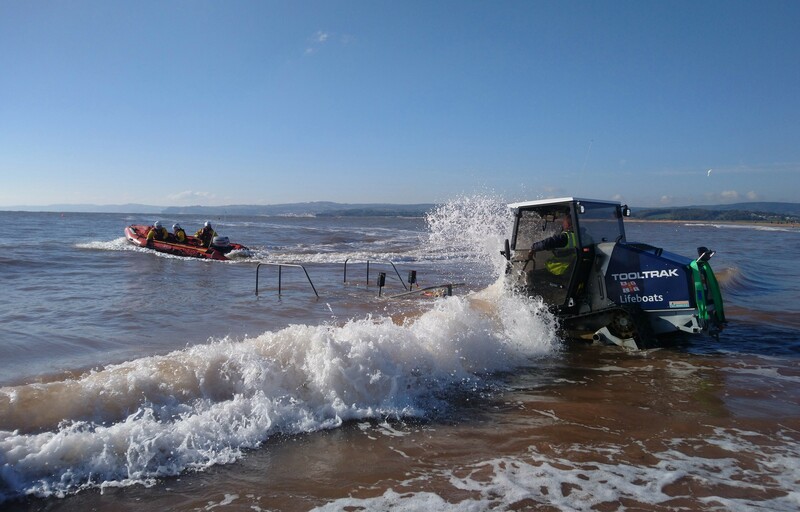 Inshore lifeboat George Bearman II launched at 10.45am to two men aground in a 17’ yacht in the river Exe after suffering engine failure. Arriving on scene at 10.50am, Crew volunteers asked if the casualties were in need of medical assistance. One of the casualties was a diabetic and needed insulin within the hour. Acting quickly because of this and the speed of the ebbing tide, Crew streamed an anchor and transferred the casualties on board the D class lifeboat quickly. The two men were dropped off at Exmouth Marina and George Bearman II was ready for service again back at the station, at 11.28am. ‘We gave the casualties safety advice as only one of the men had a lifejacket on. ‘When we arrived back at station, we heard how the casualties had called our shop first for help and our volunteers who were preparing to open, advised them to call 999 and ask for the Coastguard. Please do not call the lifeboat station or shop as there may not be anyone there. ‘This situation wasted valuable time. If our pagers had been set off a little earlier, we may have been able to tow the yacht off the sandbank near the lorry park. As a result, we had to leave their yacht in the river and wait for a local boat yard company to recover it in the next tide.